Planning a trip to Granbury? You’re at the right place! Visit Granbury wants to make your getaway a memorable one with helpful tips to make the most of your stay. Kick back, take a read, and prepare to restore yourself in Granbury, Texas. By the end of this, we&apos;ll bet you&apos;re already looking for your calendar to check for available dates. 1. You can’t do it all in one day, so make it a weekend! There is so much to do in Granbury, we don’t even know where to start. To fit in everything you’ve set your eye on, make it a stress-free weekend instead of fitting everything into one day. We promise, you’ll enjoy making your Granbury getaway a relaxing one! Granbury is well-known as a destination full of unique lodging opportunities fit for a variety of different interests. Looking for an inn just off the Historic Granbury Square? A relaxing cabin to getaway from the hustle and bustle? A room with a lake view? If you want it, Granbury has it. Anyone can tell you that the experiences are something that sets this town apart from the rest. Tours, attractions, historic charm, and nightlife – Granbury does it all with a small-town-feel. 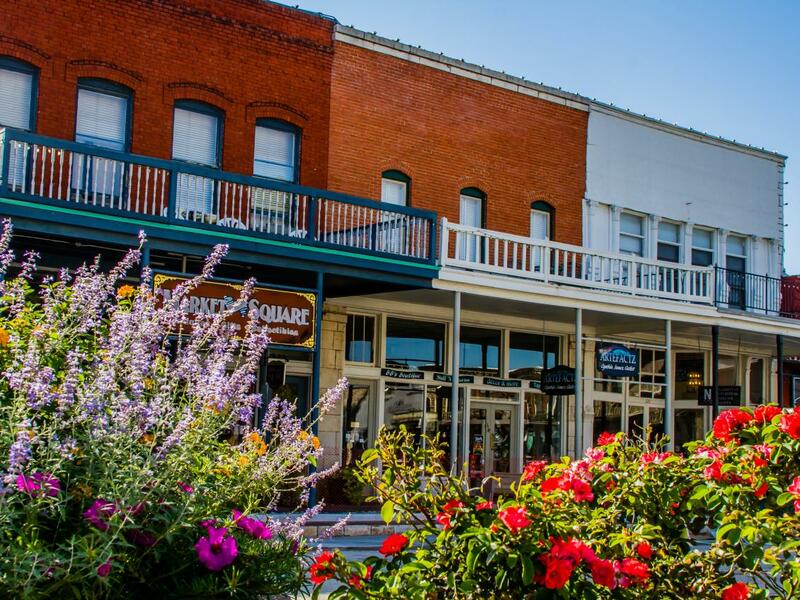 A big draw are the many festivals held year-round on the Historic Granbury Square. Plan your trip around the Granbury Wine Walk, Granbury’s Old Fashioned Fourth of July, Harvest Moon Festival of the Arts and more. Or, just plan a quick getaway trip for all of the annual events! Don’t forget about the museums and tours. Experience the Hood County Jail Museum, Ghosts and Legends Tour (did John Wilkes Booth really hide out in Granbury? ), and so much more. If there is one thing we know about Granbury, it’s that the locals have been here a long time for a reason. Find your evening dinner spot or best place to be on Lake Granbury by asking the locals! They know all the best spots to make the most out of your time and Granbury experience. Or, stop by the Visitor’s Center, we’d love to help you make your weekend plans! 5. We’re in Texas, y’all! In typical-Texas fashion, the weather can be unpredictable sometimes. Check the weather beforehand, but maybe snag a pair of shorts and a jacket during Fall-Spring. You never know! 6. Document your memories, and share them! Take pictures during your stay in Granbury! Use the hashtag #VisitGranbury to show not only your friends and followers, but others thinking of heading to Granbury, too! We constantly update our streaming galleries on our website to show user-generated photos with the hashtag #VisitGranbury. Enjoy your stay, and document away!